Interesting selection to devote some time swimming in Oxford. Is it not your first time here? Tell us how it went utilizing the Facebook comments below or contacting us directly! 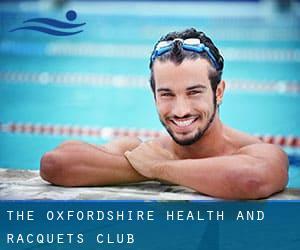 The Oxfordshire Health and Racquets Club is only one of all the swimming pools Swimia is providing you, and its info has been shared with us by a swimmer like you.Remember you could now promote The Oxfordshire Health and Racquets Club by sharing this page with your friends, adding comments and linking to us. Few days ago a standard user of this centre told us they offer 25 meters x 8 meters, 3 lanes, 1.5 meters uniform depth, 1.5 meters uniform depth, Indoors. Furthermore, they keep in good conditions 20 meters x 8, Outdoors. For this Swimming Pool, only phone number is number here. Oxford Business Park North , Garsington Road , Cowley , Oxford , England , UNITED KINGDOM (Postal Code: OX4 2JY). Among all the activities offered by the centre, should you be interested in swimming you can get pleasure from 25 meters x 12 meters, Non-Chlorine Sanitized, Indoors. Just in case you would like to get in touch with this Swimming Pool prior to dropping by, we only know the phone number. Temple Road , Cowley , Oxford , England , UNITED KINGDOM (Postal Code: OX4 2EZ). Among all the activities offered by the centre, if you are interested in swimming you'll enjoy 25 meters x 18 meters, 8 lanes, Indoors. Just in case you want to contact this Swimming Pool just before dropping by, we only know the phone number. Wayneflete Road , Barton , Oxford , England , UNITED KINGDOM (Postal Code: OX3 9NU). Swimmers like you reported 25 meters, 4 lanes, Indoors. Phone number and e-mail address are number for this Swimming Pool. Blackbird Leys Road , Blackbird Leys , Oxford , England , UNITED KINGDOM (Postal Code: OX4 6HW). Among all the activities provided by the centre, should you be enthusiastic about swimming you can expect to enjoy 18 meters x 8 meters, Indoors. Just in case you want to contact this Swimming Pool prior to dropping by, we only know the phone number. Westminster Institute of Education , Oxford Brookes University , Harcourt Hill , Oxford , England , UNITED KINGDOM (Postal Code: OX2 9AT). This sports centre gives 25 meters x 8.5 meters, 3 lanes, 1 meters - 3 meters depth, 1 meters - 3 meters depth, Indoors. Contact info for this Swimming Pool which include phone number and email address are number. Diamond Place , Banbury Rd. , Summertown , Oxford , England , UNITED KINGDOM (Postal Code: OX2 7DP). This sports centre provides 25 meters x 12.5 meters, 6 lanes, 1 meters - 1.8 meters depth, 1 meters - 1.8 meters depth, Indoors. For this Swimming Pool, only phone number is number here. Oxford University Sports Complex , Iffley Road , Iffley , Oxford , England , UNITED KINGDOM (Postal Code: OX4 1EQ). Among all the activities supplied by the centre, if you are thinking about swimming you can expect to appreciate 25 meters x 17 meters, 8 lanes, 2 meters depth, 2 meters depth, Indoors. If you might want to get in touch with this Swimming Pool, email address and phone number are both number. Grenoble Road , Oxford , England , UNITED KINGDOM (Postal Code: OX4 4XP). Among all of the activities offered by the centre, if you're thinking about swimming you can enjoy 20 meters x 8 meters, 1.2 meters depth, 1.2 meters depth, Indoors. If it is advisable to get in touch with this Swimming Pool, e-mail address and phone number are both number.